A unique public-private collaboration is poised to prove electric airplanes can dramatically cut the cost of flight training, and venture beyond the traffic pattern. The players include two small towns in California’s Central Valley, a flight school, a nonprofit energy consultant, a community college, and Slovenian aircraft maker Pipistrel, each with a role creating a network of electric airplane charging stations. The California towns of Mendota (top left) and Reedley (bottom left) are collaborating on a project that will have them host Pipistrel Alpha Electro trainers. Images of William Robert Johnston Municipal Airport and Reedley Municipal Airport courtesy of Joseph Oldham. Composite photo by AOPA staff. Those strategically located charging stations, none more than 45 nautical miles from any of the other three, will allow a fleet of four Pipistrel Alpha Electro trainers to depart the traffic pattern, and thus remove the principal limitation that has so far prevented flight schools from investing in larger numbers. They could be among the first Alpha Electros delivered to America, and the first anywhere to be operated as a distributed fleet. The Sustainable Aviation Project is the brainchild of Joseph Oldham, an AOPA member, and director of the San Joaquin Valley Clean Transportation Center for CALSTART, a nonprofit founded in 1992 that supports clean transportation collaborations between businesses and government. Oldham’s office is at Fresno Chandler Executive Airport. Now 64, he has been flying since he was 22 years old; airplanes and opportunity to fly have long been on his mind. Oldham has helped put zero-emission buses into public transit fleets. He drives a Chevrolet Volt. He credits Pipistrel's decision to bring the Alpha Electro to market and a conversation with a local airport manager for prompting him to take a more serious look at exactly what it would take to create the infrastructure to recharge electric aircraft. As with cars, it is a chicken-and-egg problem: Buyers are reluctant to embrace electric until there are enough charging stations to make electric vehicles a practical way to go places. As with electric cars, public investment stands to prime the pump. Oldham, now with the makings of a feasible idea and locations chosen, found a receptive audience at Mazzei Flying Service, a Fresno flight school founded in 1936 by Fred Mazzei (who later landed a contract to train Army Air Corps pilots). Oldham also began talking to Pipistrel, and drilling down to details of costs and timetables. After Oldham had spent about a year working on the concept, a county transportation grant program was announced in November that offered the potential for funding the purchase of airplanes and charging stations. 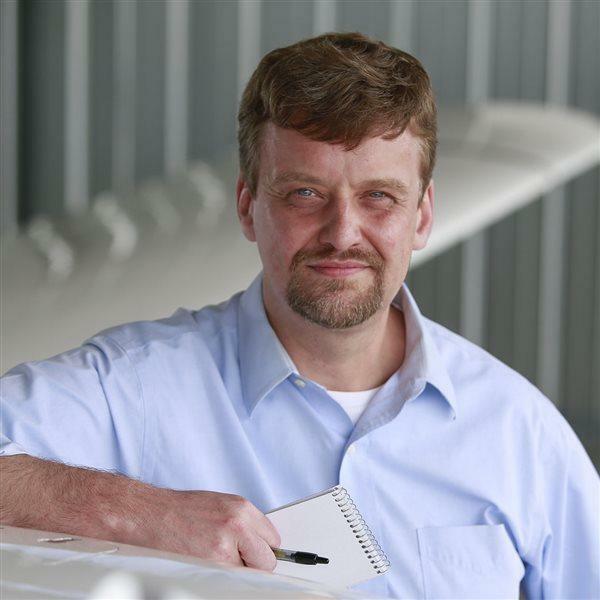 Oldham inquired, and learned electric airplanes could indeed be eligible for consideration. The project sought $1 million from a $10 million county transportation grant pool, competing against other projects whose collective total value was nearly twice the available funds. Competition included at least one electric bus project. Oldham served as the primary pitchman for the airplane project, and found a receptive audience in the public officials who evaluated and scored the applications. “They were just blown away with the project,” Oldham recalled. The application he had put together scored the highest of all. Municipal officials in Reedley and Mendota, the towns that agreed to apply for the funds from the countywide program, and also to contribute electricity and hangar construction to the project, have been equally enthusiastic. Reedley City Manager Nicole Zieba described the effort as a “game-changer for the aviation training industry,” noting myriad benefits. The project budget includes $15,000 to install each charging station and $746,348 for four Alpha Electro trainers with the battery chargers and two spare sets of batteries for each airplane, delivered to Fresno, according to the grant proposal that has been approved by all local officials to date. Only one final approval remains for the funds to be granted in November, Oldham said, and that is a largely pro forma step in the process given the widespread enthusiasm among officials involved. The total grant includes $90,000 for 45 scholarships at $2,000 each to help low-income students pay for training. With the electric aircraft no longer confined to the traffic pattern, the project will drive down the cost of training from the first flight. Running on electricity instead of fossil fuels reduces the fuel cost by 90 percent, the application notes; the hourly cost of electricity is estimated at $1.70. Oldham said there also will be savings on maintenance. Oldham said the final cost to students who qualify for assistance could be as low as $1,500 to complete a sport pilot certificate. “That gets them in the air,” Oldham said, noting that each student's financial burden roughly equates to the cost of a year at a community college. The project timeline calls for the aircraft and chargers to arrive in August 2017, with flight training operations to begin in December 2017 after testing and final FAA approval. In addition to launching 90 or more flying careers, Oldham hopes the project will demonstrate that electric aviation is feasible, and feasible right away—not at some future time when battery technology extends flight time of a two-seat trainer beyond the current maximum of about an hour with a 30-minute reserve. Another part of the vision is to promote electric transportation in all forms. A successful demonstration of electric airplanes can help overcome public skepticism about electric cars, and other forms of personal transportation of both the present and future, Oldham said. He compared the collaboration to other pioneering achievements in aviation, such as Charles Lindbergh’s famous crossing of the Atlantic, which helped build broader acceptance of internal combustion engines.